Your Proloquo2Go voice might not know how to say every word correctly. Names of people and places can be especially tricky. 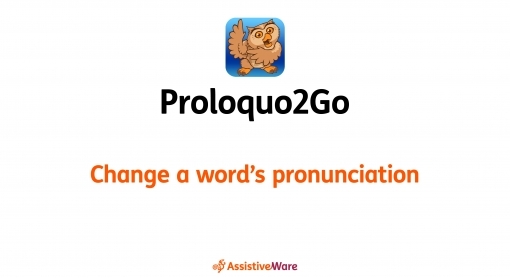 You can add a pronunciation exception to tell Proloquo2Go exactly how to say a word. There are two ways to change a word’s pronunciation in Proloquo2Go: Directly in a button using Edit mode, and in Options, even if a button does not yet exist for that word. Go into Edit mode and tap on the button you want to change the pronunciation of. Go to Text to Speak and tap the microphone . Note that any changed pronunciation will apply to all occurrences of the word whether in buttons or typed text. Go to Options* in the bottom toolbar. 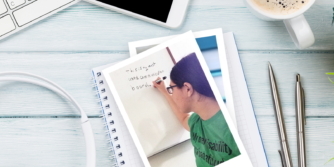 Go to Speech and Language. Under Voices tap More Info in the row with your language. Under Pronunciation at the bottom of the list, tap your language. First, select the + in the top right corner of the Options. This opens the new pronunciation configuration. In the top Original Text row, type the word’s spelling. Make sure to capitalize it in the same way as on the button in the app. In Pronunciation, type how you want Proloquo2Go to pronounce the word. Select Speak to preview your pronunciation. You may need to try a few different pronunciations to get it to sound right. 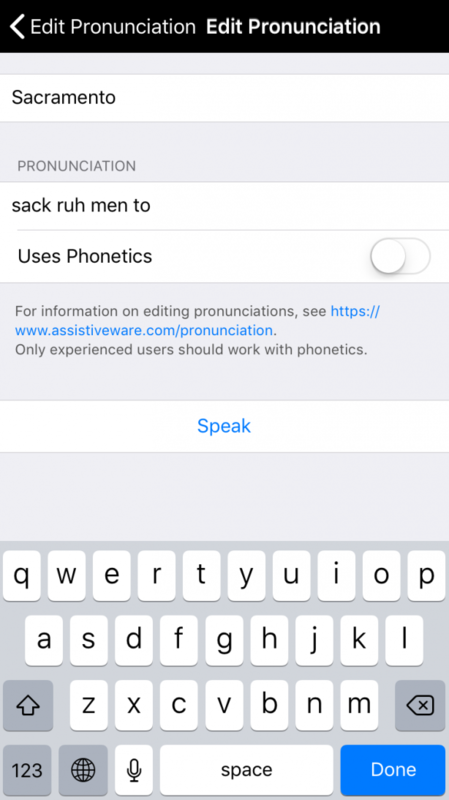 For example, if I type “sa cra men to,” the first ‘a’ sounds like "uh." If I try to fix this by typing "sack ra men to," the second 'a' now sounds a bit like the 'a' in "ray." If I try a third time with "sack ruh men to," it sounds correct. 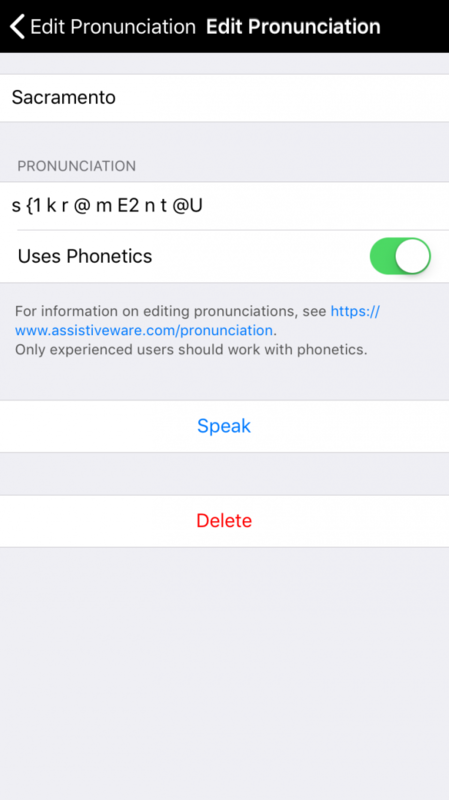 For more control, you can enter special phonetic codes that tell the voice exactly how to pronounce the word. If you want to use these, toggle Uses Phonetics to ON. You must leave a space between every sound’s code. 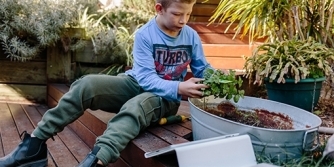 We recommend that only experienced users try this option. * On iPhone and iPod touch, you will find the Options button in the Tools popup at the far left of the bottom toolbar.